Six years post stroke, Chuck’s arm remains paralyzed. Many stroke survivors do get function back, and it’s hard to predict who will or will not. I decided to act as though Chuck would and became very proactive, spending hours surfing the Net looking for alternative or supplemental treatments and assistive devices. I want to share my findings, in case they might help someone else in some way. I read about CIT in The Brain That Changes Itself, by Norman Diodge. CIT involves restricting the use of the functional hand and thereby forcing the affected arm to work. The action of movement, even if a therapist manually produces it, causes neurons to fire. The arm communicates to the brain, “Hey, I’m still here! I need neurons.” Treatment takes place daily and lasts several hours. This kind of intensive therapy has been shown to be more effective than conventional therapy, which usually takes place three times a week. In order to qualify for this program, potential participants must have the ability to make a fist, which Chuck never was able to do. The brain is the most complex organ of all the organs, containing the universe and the sum of all we know, as well as managing all our involuntary bodily functions and reflexes. This is why we don’t have to think about breathing. When brain cells are killed, as in a stroke, they don’t grow back. Luckily, the brain has plasticity; it can compensate for such loss with neurons, which can grow new pathways around the damaged area. However, when a limb, especially an arm, is paralyzed as a result of a stroke, it suffers “learned disuse,” and the brain has to be coaxed into giving back function to the arm. Sometimes, it has to be tricked. This is how the mirror box works. The mirror box is constructed of slick fabric stretched around wires. On one side on the outside of the box is a mirror. The affected arm is placed inside the box, where it cannot be seen; the functional hand rests outside the box, facing the mirror. The patient moves the functional arm while looking at its reflection in the mirror, imagining he is moving the affected arm. The brain is thereby tricked into communicating with the arm, which is what has to happen in order for the arm to move. Best of all, they only cost $40. In some cases, the caretaker of the stroke survivor has to assist in cleaning after a bowel movement. In order to avoid this task and to spare Chuck’s dignity, I turned to the Internet, where I discovered a gadget that improved our quality of life to a great degree: the Biffy. It fits onto the toilet bowl and diverts water, by way of the intake valve, through a spout that sends a jet of water into the nether regions when the user pulls a lever. The cost was $100, well worth it. The company’s web site is located at https://www.biffy.com. I also found other sources of information on the Internet, such as free magazines Stroke Smart and The Stroke Connection and books like My Stroke of Insight; Head Cases: Brain Injury and Its Aftermath; and The Brain That Changes Itself. I read as much as I could, on line and off, about stroke. Educating myself was one of the best ways I was able to help Chuck. I gathered a mass of information—some helpful, some not—much of which no doctor or therapist ever told me about. In addition, doing the work helped me feel more in control of a virtually uncontrollable situation. Fact-finding became a form of free therapy, which kept me from feeling helpless and filled up many hours that otherwise might have been spent despairing. After which I received a slew of support and offers of help. My points are: if you are a caretaker, ask for help when you need it; if you know a caretaker, offer help on a consistent and ongoing basis. I can see why some spouses leave their stroke survivors. They can’t live with the idea that the person they married has been replaced by a disabled person who needs full-time care. I felt staying was my only option; if I left, Chuck would have to be institutionalized, which I couldn’t bear. In short, I stayed not because of the great love I felt for Chuck, but because of my feelings of empathy and compassion. I did love, and do love, Chuck. However, since I became his caretaker, the nature of that love is different. I can live with the changes that have occurred in our relationship since Chuck suffered a stroke and became disabled. I’m sure some people cannot, although I don’t know of any studies that indicate a higher rate of separation in the aftermath of stroke. It’s hard to have to redefine a marriage and to let go of certain hopes for the future. Funnily, before Chuck’s stroke I used to be very judgmental of people who left spouses who got sick or disabled. I thought, “I would never do that.” Even though I was right, being put in that position made me more understanding of people who choose to leave. Ultimately, they have to live with themselves over their decision, and I can imagine how painful it would be. I “decided” to stay, although it was not a moment in time. It was more of a realization that grew as I started to accept the fact that Chuck always would be without the ability to speak, read or write. As he is trapped by his disability, so am I, although in a different way and voluntarily. I sometimes try to imagine being free, what I would do with my life, where I would go. My longing for freedom sometimes is so intense that it’s painful. But I know that the pain I would cause Chuck, and the guilt I would feel, outweighs my desire to be free. So I stay. I admit these very personal feelings because I suspect other people have them as well, and I want to say, “It’s normal.” I also want them to know that while the caretaking life has meaning in itself, it’s doesn’t have to define them. In my next post, I’ll relate how I was able to find fulfillment while still being the caretaker for my stroke survivor. I have been a writer for more than 25 years. I started out as a newspaper journalist and make forays into newsletter editing and teaching college-level writing and literature courses. I had begun another venture based on my love of dogs, working on becoming a certified trainer, when my husband Chuck suffered a massive stroke in 2007. Very soon, I realized that my new full-time job was to take care of him. I quit my teaching gig, suspended my dog-training certification process, and concentrated on getting Chuck the care and therapy he needed. With the passing of time, Chuck needed less care, so I resumed my studies toward becoming a dog trainer. I also developed an overwhelming desire to share Chuck’s and my story, so I began to write. Every day, for up to eight hours, I sat in front of the computer and wrote. The words poured out, and in about three months I had 35,000 or so words, a manuscript I called Stroke Happens. Then I had an opportunity, to write an article for South Carolina Wildlife Magazine, about a bird that was spotted nesting way outside of its range (see http://www.scwildlife.com/pubs/mayjune2012/atourist.html). The editor liked my work and invited me to write more stories, so I did. I also got a call from an editor at The History Press out of Charleston, SC, wondering if I would like to write a book. Yes. 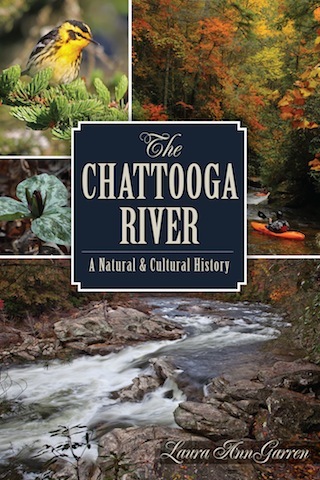 A year later, I was the author of The Chattooga River: A Natural and Cultural History (see http://www.amazon.com/Chattooga-River-Natural-Cultural-History/dp/1609499859/ref=sr_1_1?s=books&ie=UTF8&qid=1378334467&sr=1-1). Now I have a writer’s platform, although not in the area of stroke; therefore, this blog. I also hope to publish excerpts or chapters from Stroke Happens in an attempt to entice publishers. Meanwhile, I will post on this blog. Please comment and/or ask questions. My goal all along has been to share my experience with other caretakers and stroke survivors, particularly those who suffer from aphasia. And wish me luck publishing Stroke Happens. Because it does. Welcome to Stroke Happens, a resource for anyone who has been affected by stroke. If you are a stroke survivor or a caretaker, like I am, or if you are a loved one of someone who has suffered a stroke, I hope this blog will provide you with information and inspiration. Stroke happened to me August 31, 2007, when I woke up to find my husband, Chuck, mute and paralyzed. He went to bed himself and woke up a different person, in effect. Although I didn’t realize it at the time, we had started out on a journey that would prove to be painful, arduous, and frustrating. Along the way, I learned many things only after I really needed the information. My goal in this blog is to provide answers to questions that the reader hasn’t asked yet. I want other stroke survivors and their caretakers to avoid the obstacles I faced. I also want to offer support to those who are dealing with stroke and its aftermath, to show that happiness is possible even after the most dramatic losses imaginable. I hope you will find this website informative, entertaining, and helpful. Thanks for reading.